Obaby’s simple but stunning Ludlow cot thoughtfully utilises clean and contemporary design to become a perfect fit for any child’s first nursery. Although small in size, the Ludlow provides three mattress base heights, the top position allowing your young baby to be taken in and out easily without any unnecessary bending. Then as your child grows, learning to sit and stand, the mattress base can be lowered by two further positions to provide extra security and reassurance. The open slatted ends and sides are perfect for watching over your little treasure during their most peaceful times and the presence of teething rails ensures your child’s delicate teeth are protected. The Ludlow cot cleverly balances simplicity and elegance with a selection of valuable features - the perfect option for parents searching for a stylish and practical piece for their little one to lay their head, without requiring the space needed for a cot bed. The open changing unit provides a spacious changing area at a comfortable height for parents, with two large open shelf spaces below for all baby’s changing essentials. With smooth lines and a carefully considered design, this changing unit can easily accommodate a standard baby changing mat and looks fantastic alongside the rest of the Ludlow nursery set. 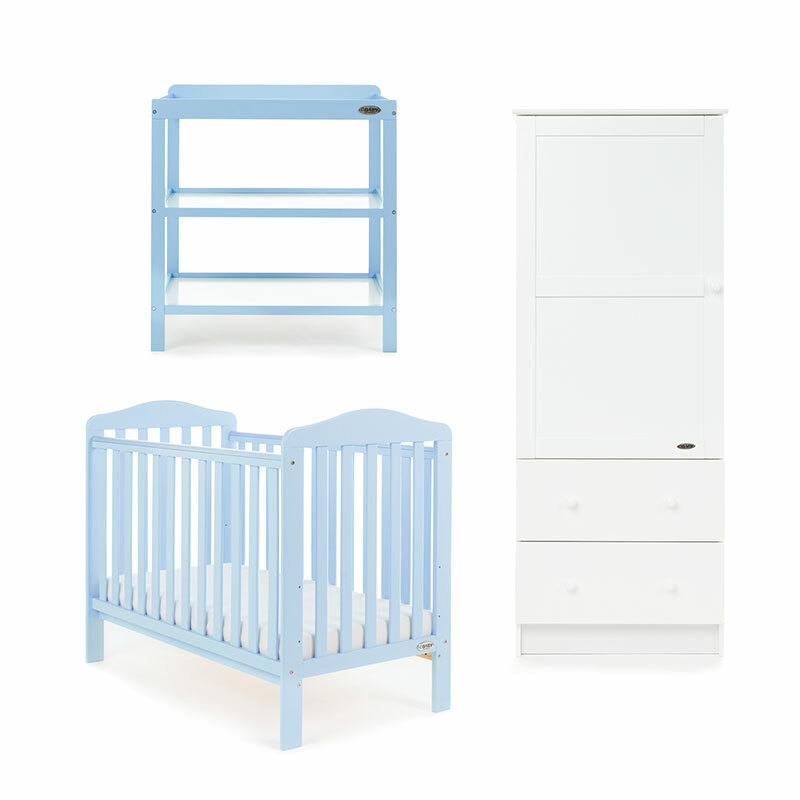 Along with beautifully transforming your family’s nursery space, the Obaby Ludlow 3 piece nursery furniture set combines a range of practical solutions with fantastic value. 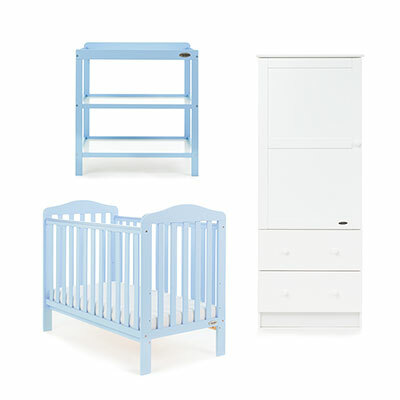 The set is available in a choice of classic colours, meaning the set can blend beautifully with a wide variety of nursery settings and styles.